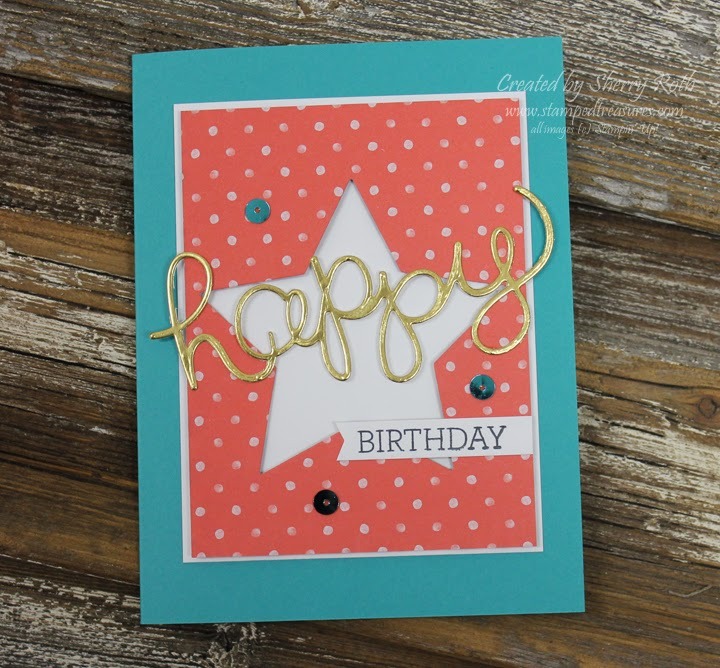 Sherry"s Stamped Treasures: Hello You Thinlit Dies by Stampin' Up! Hello You Thinlit Dies by Stampin' Up! Good morning! I hope you all had a great weekend. Today I have a card I created for a swap - it's simple but I love it. It uses the new Hello You Thinlits and the stamp set - Crazy About You - that is meant to compliment it. I forgot to snap a photo of the inside but I added the dsp star and then stamped ýou amaze me - just sayin'. Quick post today, I've got lots of prep work for upcoming events - stamp clubs this week and SAB Kickoff on Saturday!